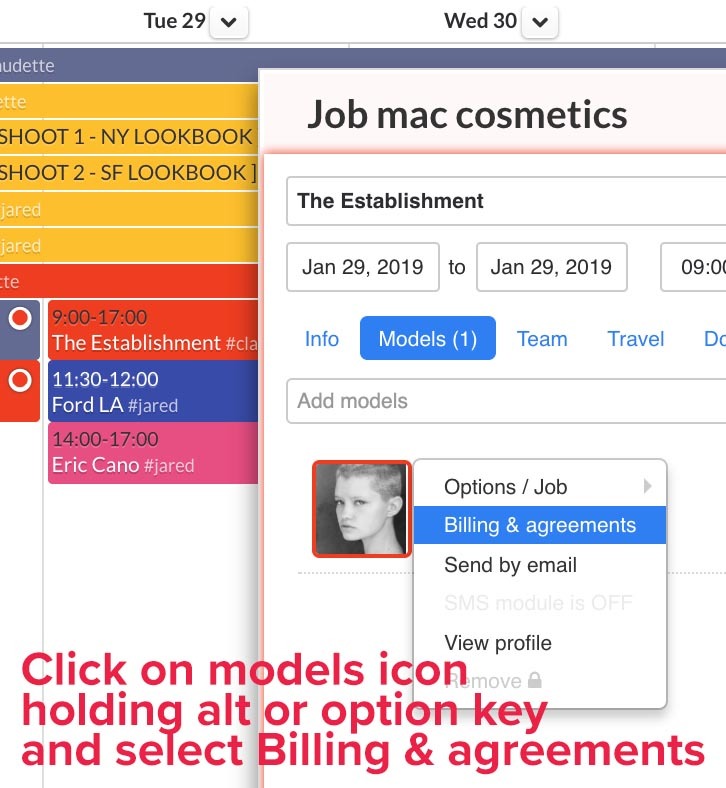 When creating a job it is VERY IMPORTANT to make sure the following information is correctly added to the Billing Portion of the job details. Not doing so will make invoicing the client much more difficult and potentially jeopardize UU being paid. Highlighted below is the information accounting needs to have to bill. A more detailed description of each item is located further below. #2. “Billing client” If you do not already know who is to be billed, be sure to ask the person who is confirming the job “Who is to be billed for this booking?” A copy of the confirmation email and billing information email should be added to the documents associated with this booking. #3. “Billing contact” . In most cases the person confirming the booking is not the contact person related to billing. Try to add all the appropriate contact info for them or at least an email address. #4. “Agency charges” Please be sure to have the correct option selected regarding Agency commission terms. Either the rate includes or does not include UU’s Agency Fee (Not included) meaning there will be a 20% fee added to the rate or the rate includes the agency fee (Included) . This factor is reflected in #6. #5. “Mother agency” Review to make sure the Mother Agent Status and commission is correct. #6. 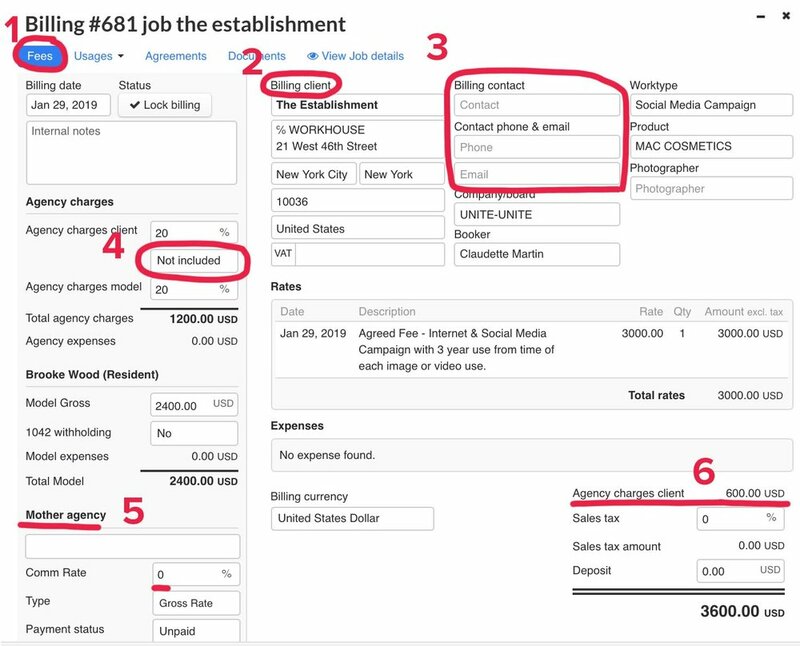 “Agency Charges client” As stated in #4 this is the total commission to be charged to the client. If it is not correct go to section #4 and change the dropdown option.